A few months ago I participated in a workshop in Alaska on the MV Northern Song, mostly capturing whales and eagles. ( http://dgrin.com/showthread.php?t=253186 ) I knew that in mid-May I would be returning by my truck camper, via the Alcan Highway, to hopefully gather some more frames of wildlife. I have returned home now, after spending about 25 days on the road to and from Alaska, via the Cassiar Highway going north, and via the Alcan highway coming home again. This was my first attempt at driving the Alcan, and I will plan to return next spring I am sure. It is quite an experience, and I am still reflecting on what I learned while traveling. 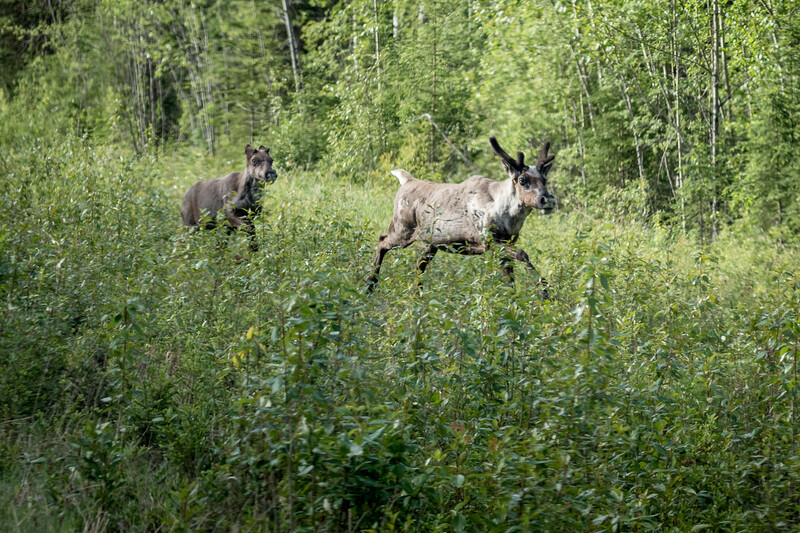 One fact I learned, is that wildlife is much more available for photography in British Columbia and Yukon Territory than it is in the US. This may not be others experience, but it was mine quite convincingly. I saw at least a dozen or more grizzlies, most from a distance of less than 50 feet. Almost all my shooting was done from the safety of my truck cab. 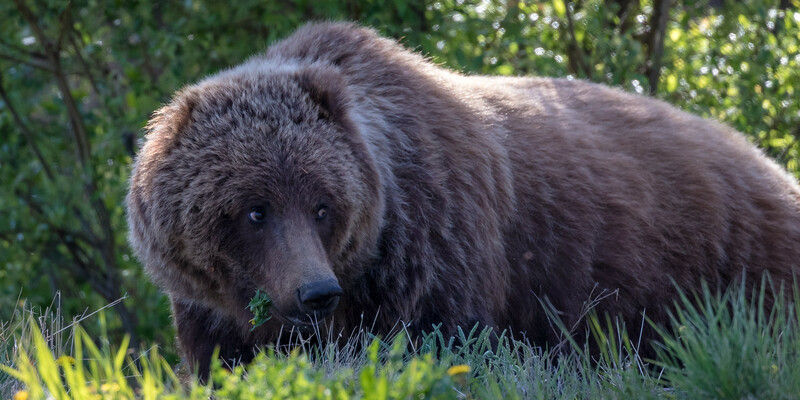 In Denali on an 8 hour all day bus ride, I saw MAYBE one grizzly that was barely discernible in 8 x 40 binoculars, and certainly was not worth photographing. 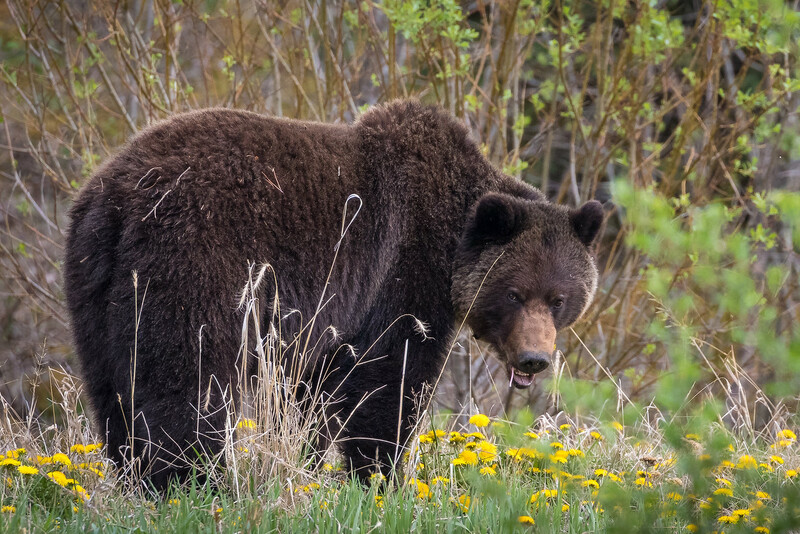 Northern bears - grizzlies, and black bears - seem to love dandelions. 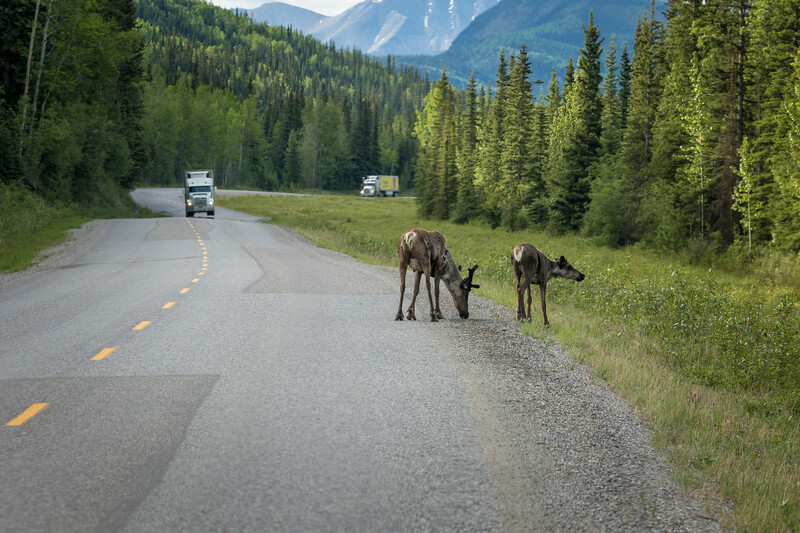 We saw them along the roadside repeatedly eating the yellow flowers, especially along the Yellow-Head Highway in British Columbia from Jasper to Stewart. At no time did the bears seem disturbed by people or vehicles in the least, they saw 18 wheelers go by them down the road. The bears simply went about their business eating dandelions and grass. I felt quite safe in the cab of my truck, but I would not have wanted to be afoot. We spoke to a lady running a campsite in the Northern Yukon Territory about bear spray and she laughed and said " Do you have a dog? Do you have a gun? If not, then stay out of the woods" She wasn't kidding and she had lived in the northern YT all her 45 years. One thing I did see was a moose killed by a pick up truck near Muncho Lake - fortunately the driver and passenger were unharmed, but the truck was demolished with the front windshield completely destroyed. 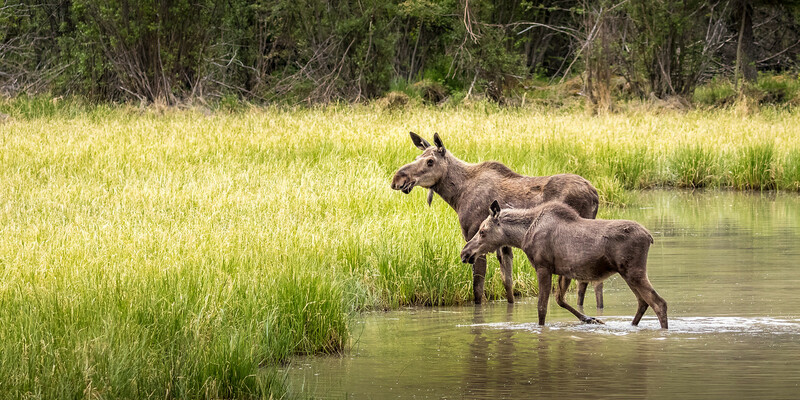 Fortunately we saw numerous other healthy moose. As I continue to edit my images, I may add some more frames of wildlife in this thread if any one is interested. Comments and criticisms cheerfully entertained. Stunning encounters! Enchanting story! Dog and Guns.....got it! Cheers Jim! I've had a some down time lately, so I have been going back through older files seeking images I might've overlooked initially, or that needed more editing than I had time to do originally. I think I found a couple that might be of interest. Both killer shots Jim! Wow! The bear shot has some bright green sneaking in on top left edge.....big eye pull for me.....cheers! 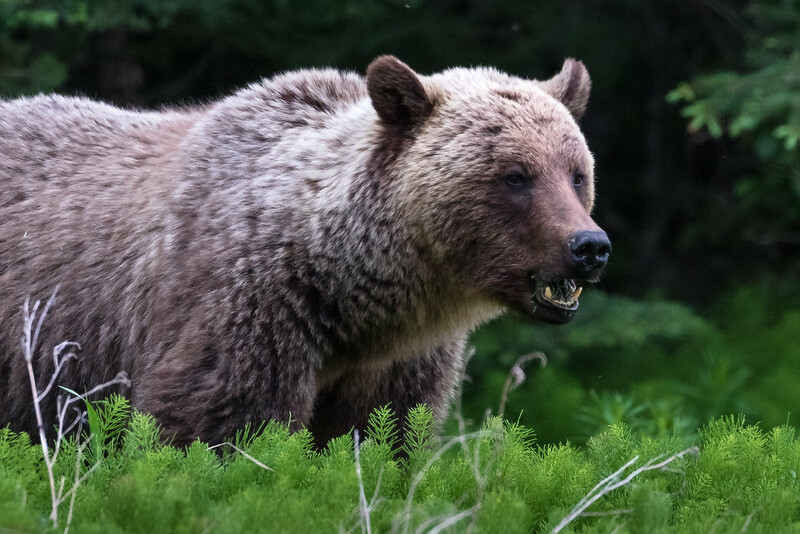 Taz, I see a dark grey black spot in the upper top left corner of the grizzly shot I just posted ( the 6th image in this thread ) - I don't see the bright green you are referring to, or I am confused in some manner. Are you talking about the green branches running across the frame over the top of the bear maybe, about the upper third meridian? I can darken those, but they don't seem that distracting to my eye. Help me out here, please. Did you like the moose? 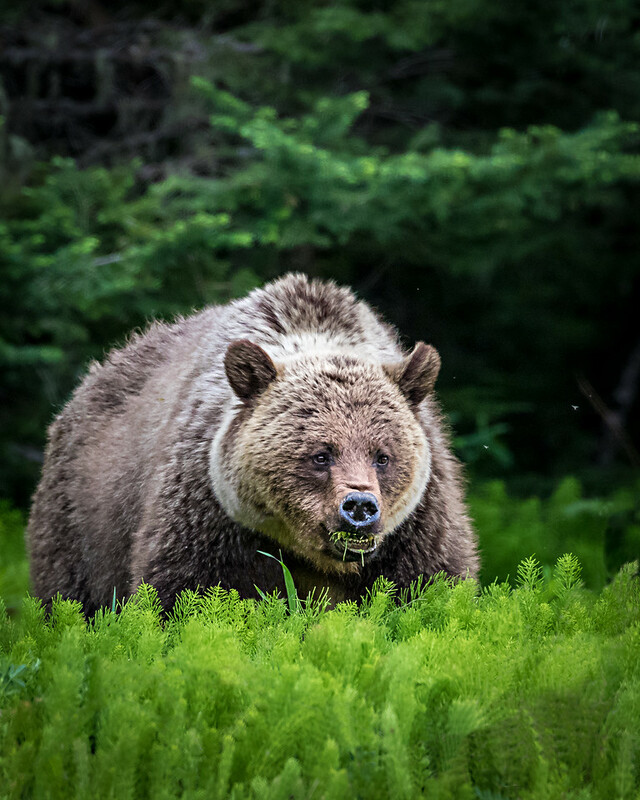 Or are you talking about the landscape aspect image of the grizzly in my initial post - the third image displayed in this thread. I do see a small green are in the upper left corner there. Not that bright on my monitor, but brighter than its surroundings, so maybe that is what you are referring too? Love the Moose Jim! Can't ask more from a wildlife shot! Post more if you got them! Love the bears, Jim; good set. I first saw a moose in New Hampster and was gobsmacked by the size, too.